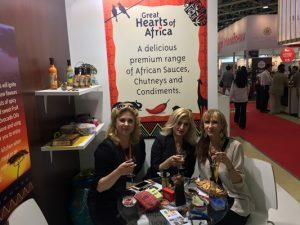 Great Hearts of Africa got listing with exclusive Retail chain Azbuka Vkusa in Russia! 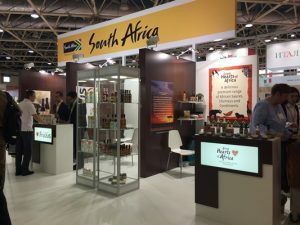 Following up by promoting our products at Worldfood Moscow! Lovely article in the Mercury Newspaper! This turned out to be a special event for us, with a lovely surprise! After 10 years I was reunited with the beautiful Nane, from Carabus, who will be our new Importers & Agents in Russia! Ambassador Mary Sibanda Thusi, most admirable lady with the biggest Heart and the absolutely amazing Embassy staff from SA Embassy in Moscow. 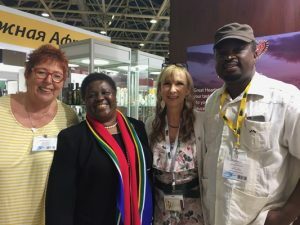 This was a very successful Show and big Thank You again to the Dti and SA Embassy, Moscow, for all your help and support! Feeling very grateful and blessed!